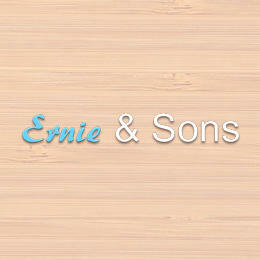 Ernie and Sons is a family owned and operated business that was started by our father, Ernie Pierce in 1952. It is now run by the three children, Ken, Walt and Jerri, besides having other family employees. 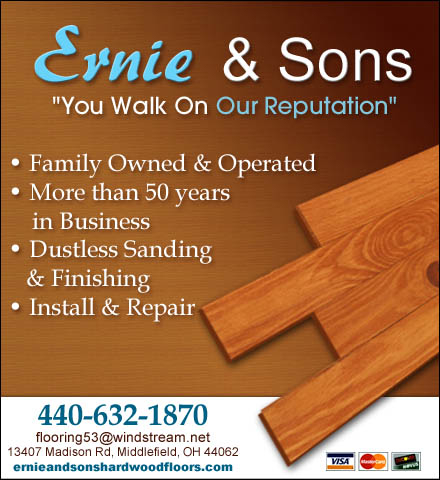 With over 60 years of experience we serve the Northeastern Ohio area. From installing new floors and repairing existing, to the sanding and finishing of old and new. We use the dust free sanding techniques. We do free estimates. Our motto is "You walk on Our Reputation."